We’re excited to present our latest addition to the furniture series entitled la vela (the sail). 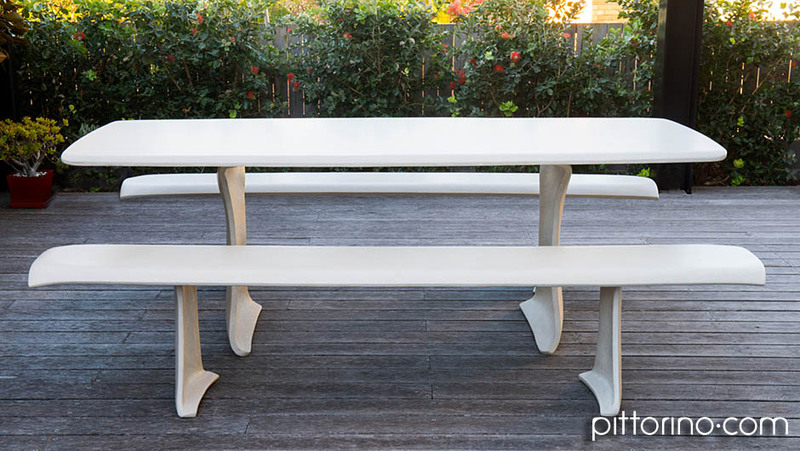 Versatile and customisable, the concrete la vela is suitable as a dining set, conference table or outdoor furniture. 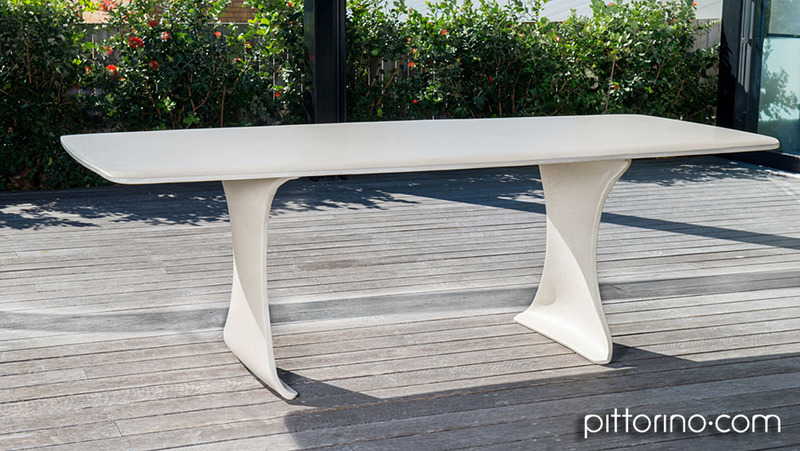 La vela’s billowing concrete legs appear to be in constant flux as you move around the table and benches – like a sail being blown in different directions. They create a sense of lightness and movement, while providing ample legroom. 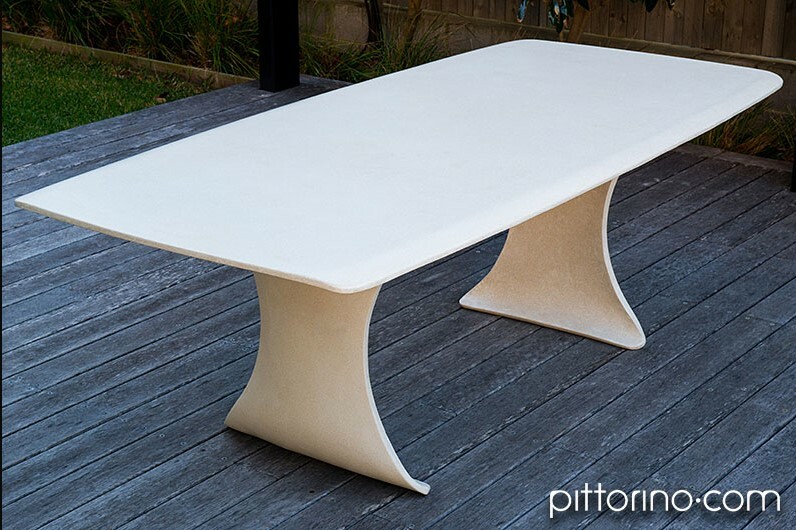 The concrete table top – like its timber counterpart – has gently curved sides, facilitating communication and giving the table a sense of life. The bench seats are shaped to complement the table. Cushions can be custom made to fit the bench seats in a range of colours and textiles. Each piece in the series is custom made to order. Clients are able to determine the table size, concrete colour and finish. New concrete colours can be custom-made or clients can choose from a range of samples. 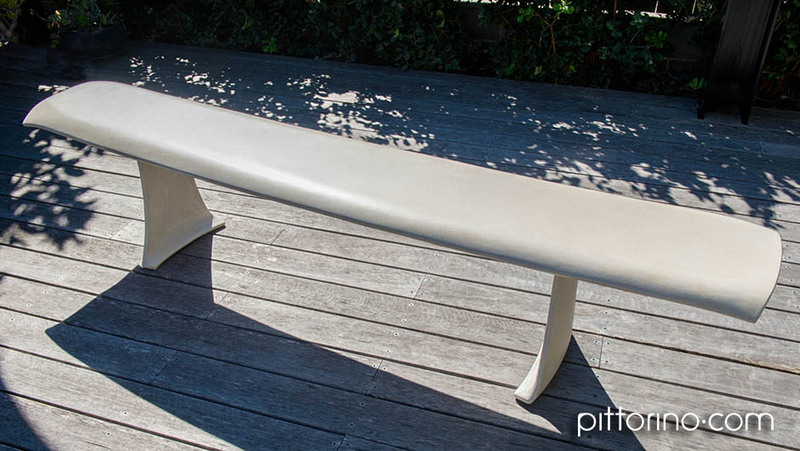 The finish can be off-form, lightly honed or fully exposed to reveal the aggregate. We enjoy working with clients to create bespoke pieces of furniture which meet their needs and are personally meaningful to them. We have found wonderful and diverse ways of doing this, such as inscribing a hidden message or personalising the design. Please contact us to discuss details and pricing. You can also find further images and details about la vela (concrete) and the la vela (timber and concrete) in our furniture gallery.